Season 6 will be the last to cover The Silmarillion. It will consist mostly of Akallabeth and extra material featured in Unfinished Tales. The main story is the Downfall of Numenor and the Last Alliance, which will be the bulk of this season. The first couple of episodes will cover the establishment of Numenor, the making of the Rings of Power and the War of the Elves and Sauron. These events will be streamlined a little to compensate for time constraints. 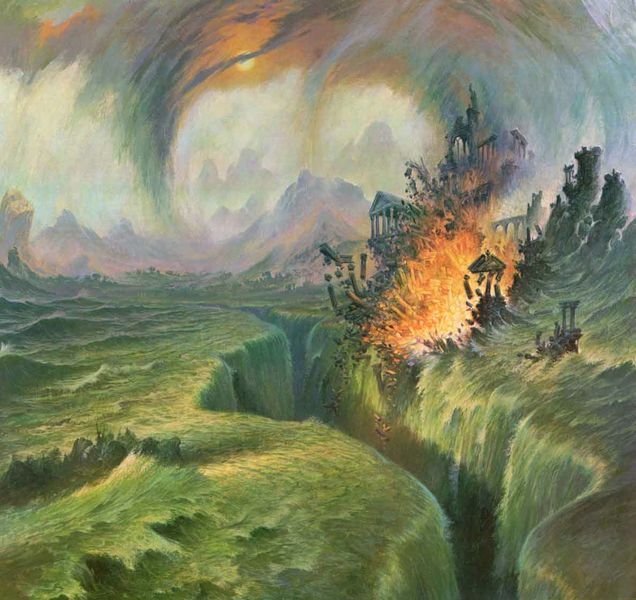 Other events covered would include the establishment of the great kingdoms and cities of Middle-Earth, including Lindon, Eregion, Lothlorien, Gondor, Arnor and Imladris, as well as the disaster of Gladden Fields, the coming of the Istari and the expansion of Khazad-Dum. Elrond takes over as narrator, as Maglor is no longer involved in the events of the story. Having heard the tale of Earendil, the children of Elrond are now keen to know the stories of the Second Age. So Elrond begins the tale of the men of his brother, Elros. The Valar convene again. 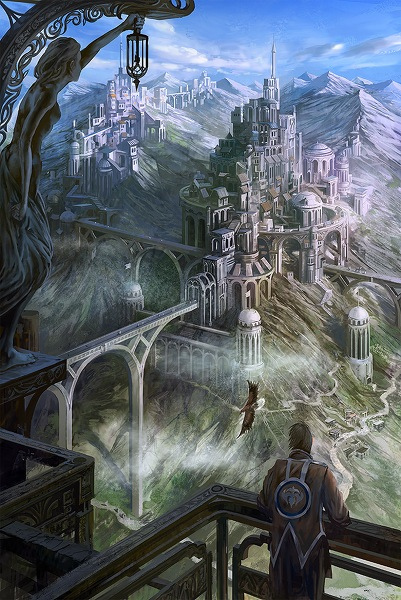 They give the returned elves the Isle of Eressea to dwell in and build the tower of Avallone. Manwe declares that due to the destruction of Beleriand the Valar will never again intervene in the affairs of Middle Earth. Manwe sends Eonwe to give the Edain that fought in the War of Wrath their reward. 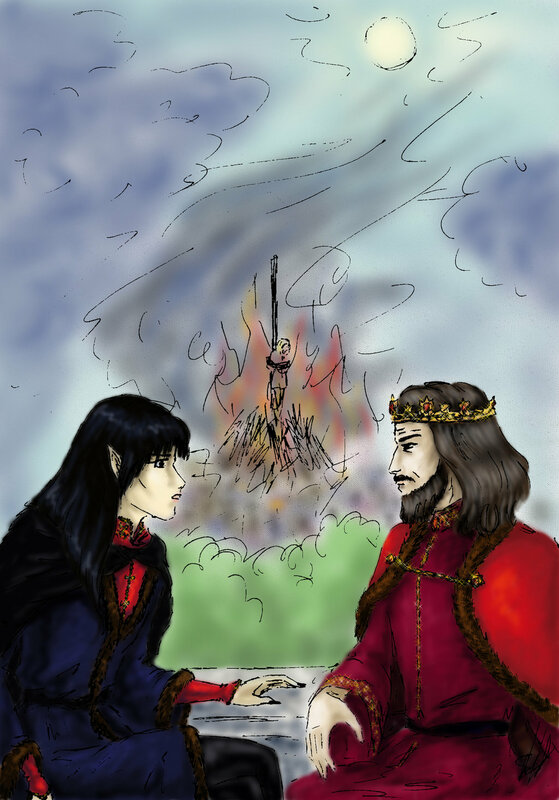 Gil-Galad establishes a kingdom in Lindon. Elros and the Edain dwell here for a while. Eonwe arrives with messages from the Valar. He reveals a new land has been raised for the Edain. 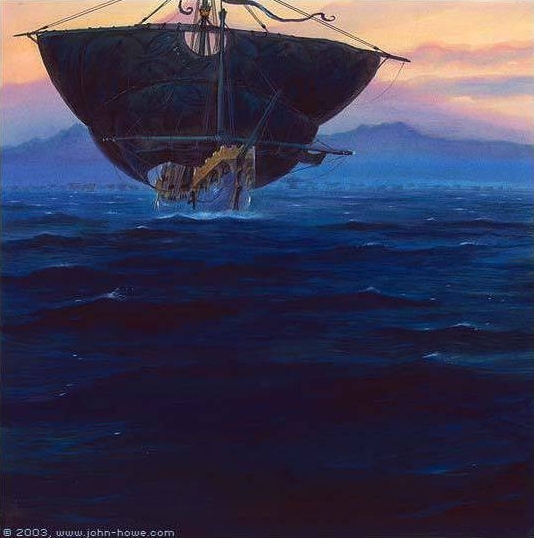 Elros says goodbye to Elrond and the elves and leads his men over the sea, following the Star of Earendil. Osse raises the island from the sea. Aule and Yavanna model it and give it life. Elros arrives and establishes the Kingdom of Numenor. 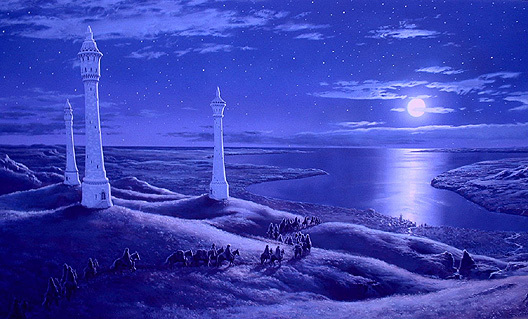 From Meneltarma, the highest peak on Numenor, Elros gazes upon the light of Valinor and the tower of Avallone. Death of Elros and creation of the line of the Lords of Andunie. 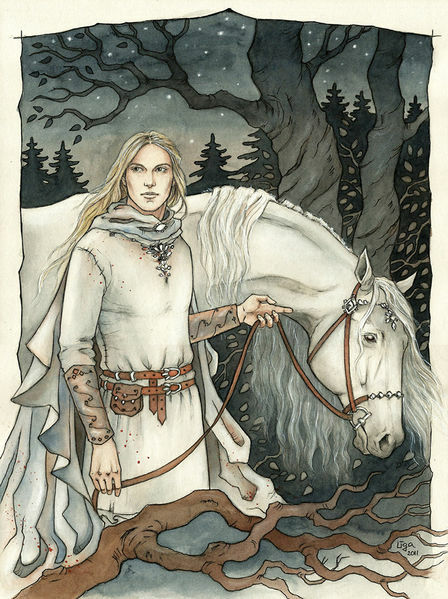 Many elves, including Celebrimbor, Galadriel, Celeborn and Oropher, leave Lindon to found their own colonies. Celebrimbor comes across a tall man calling himself Annatar. Adapted from chapters ‘Akallabeth’ and ‘Of the Rings of Power and the Third Age’ from The Silmarillion, ‘The History of Galadriel and Celeborn’, ‘A Description of the Island of Numenor’ and ‘The Line of Elros’ from Unfinished Tales, Appendices A and B of ‘The Lord of the Rings’ and ‘The Tales of Years of the Second Age’ from The Peoples of Middle-earth. The Numenoreans trade with the elves of Lindon and the men of the south. 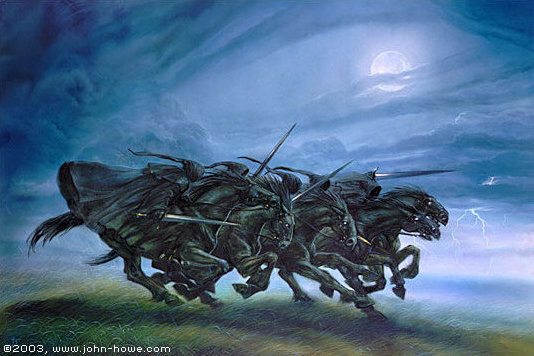 Messengers from Valinor arrive. The men of Numenor argue about why they are not allowed to sail to Valinor. 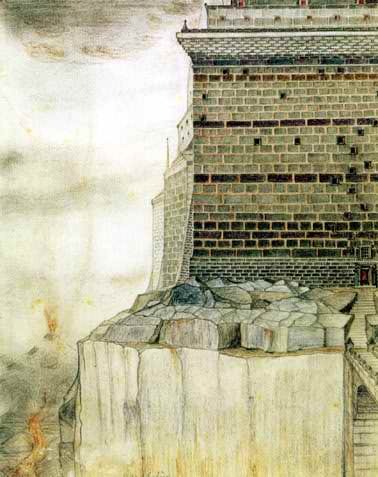 The servants of Sauron construct Barad-Dur and the Black Gate. Celebrimbor and Sauron talk. Celebrimbor directs him to Gil-Galad. Celebrimbor makes advances on Galadriel, who refuses him. Celebrimbor creates a version of the Elessar for Galadriel. They are visited by dwarves of Khazad-Dum who ask for help in creating doorways to their kingdom. Celebrimbor creates the Door of Durin. 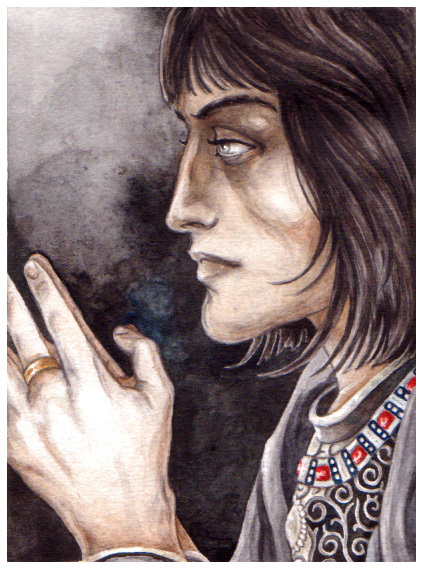 Gil-Galad does not trust Sauron and turns him away. 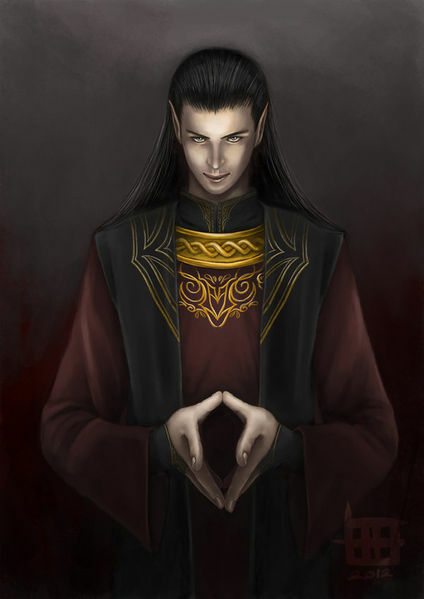 Sauron returns to Celebrimbor and suggests the idea for the Rings of Power. Sauron turns Celebrimbor against Galadriel, driving her away. The Rings of Power are made. Celebrimbor creates three rings without Sauron’s knowledge. Galadriel and Celeborn come across Lorinand and decide to settle there. Sauron creates the One Ring. As Sauron puts the Ring on, Celebrimbor becomes aware of his treachery. He sends messengers to Gil-Galad. Sauron attacks Eregion. Dwarves arrive from the east but are defeated. Gil-Galad sends word to Numenor. Celebrimbor sends the three rings away, two to Gil-Galad and one to Galadriel. Sauron tortures Celebrimbor for the location of the rings. 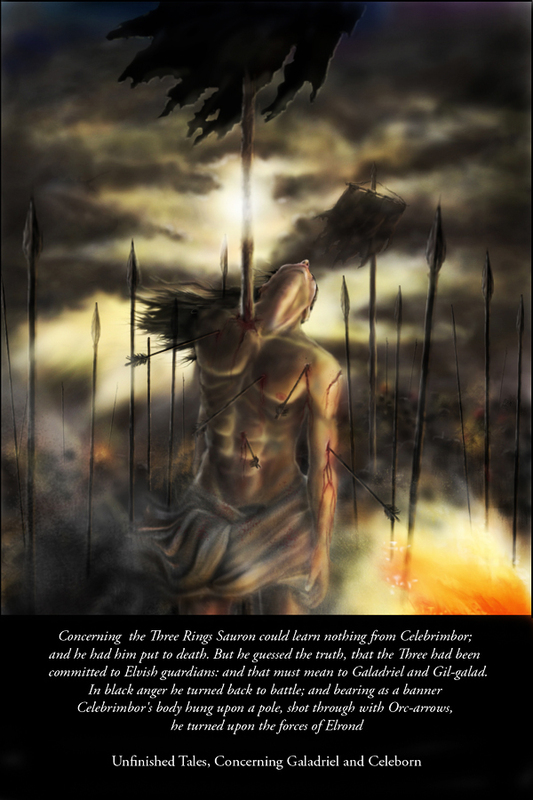 Celebrimbor is killed and his body carried as a banner for the forces of Sauron. The White Council meets again to discuss the situation with Numenor. Ar-Pharazon returns to Numenor. Elendil questions why Sauron was brought back. Sauron is locked up in Armenelos, but Ar-Pharazon talks to him often. 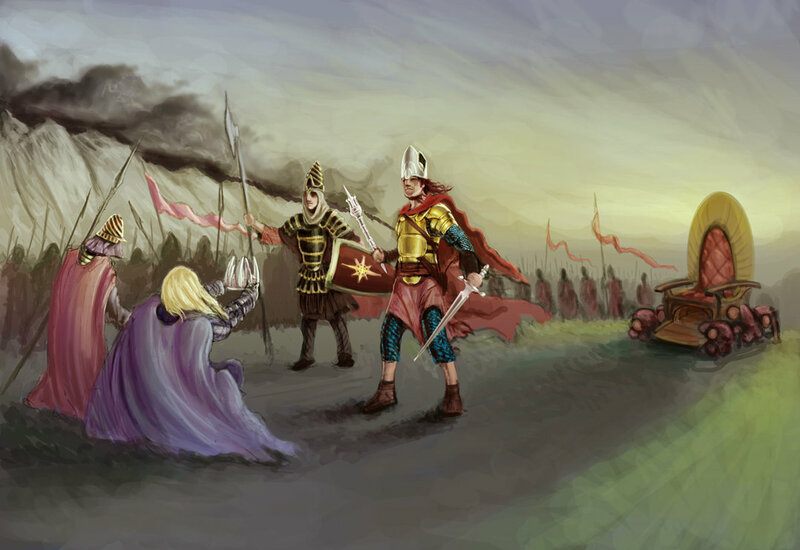 Amandil and Elendil speak against Sauron, but Ar-Pharazon decides to free him and let him walk among the people. Sauron uses his knowledge and power to win over the people of Numenor with tricks and gifts and words. Ar-Pharazon is given anything he desires. Ar-Pharazon appoints Sauron as an advisor. Amandil speaks out aggressively and is banished to Romenna. Ar-Pharazon and Sauron burn the Hallow of Eru on Meneltarma. The Faithful see the flames from Romenna. 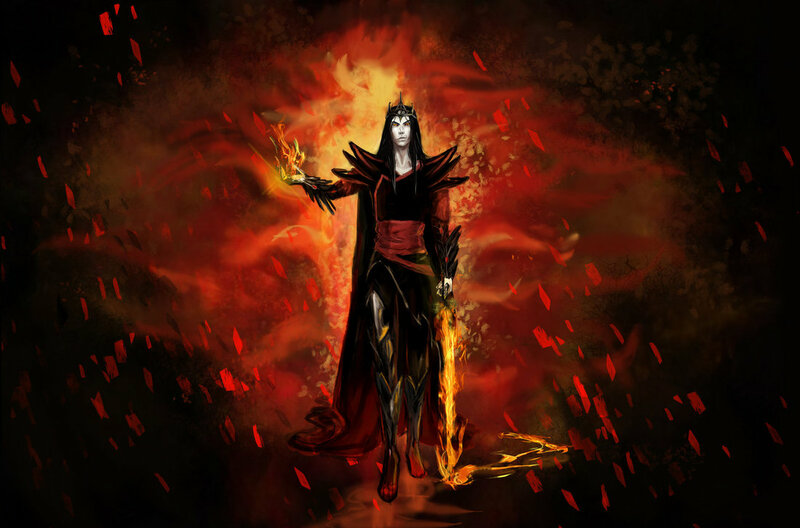 Sauron brings Ar-Pharazon into the worship of Melkor, Giver of Freedom. Sauron urges the King to cut down the White Tree. 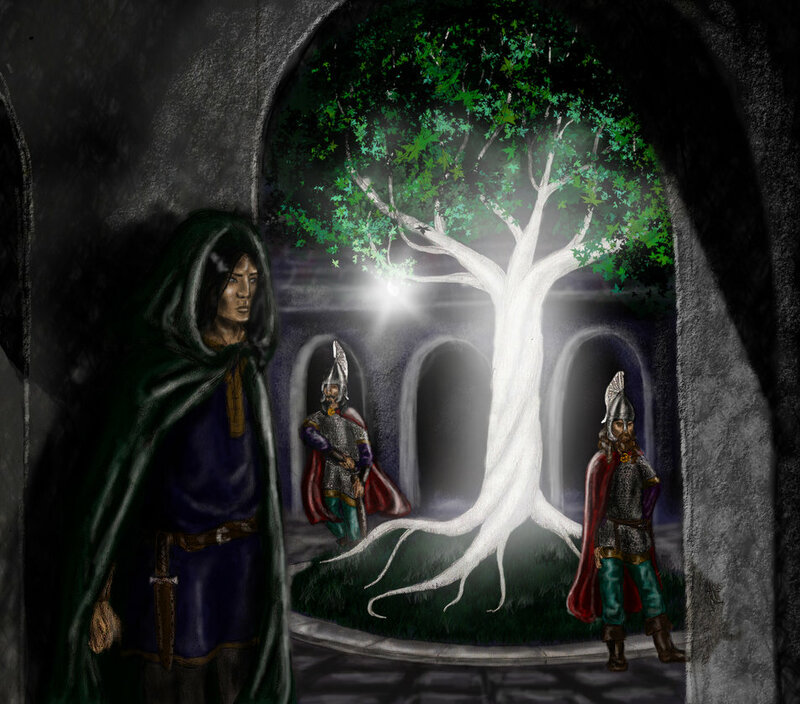 Amandil tells his son and grandsons the tale of the Two Trees of Valinor. Isildur goes into Armenelos disguised and cuts a fruit from the White Tree. He is seen on his way out and attacked, but escapes. Amandil plants the fruit and a shoot sprouts from the ground. Ar-Pharazon hears of the theft and lets Sauron burn the White Tree. 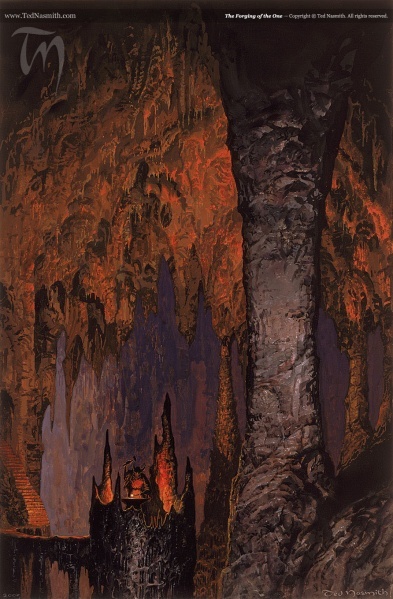 Sauron preaches to the people of Numenor that Melkor can release them from death. 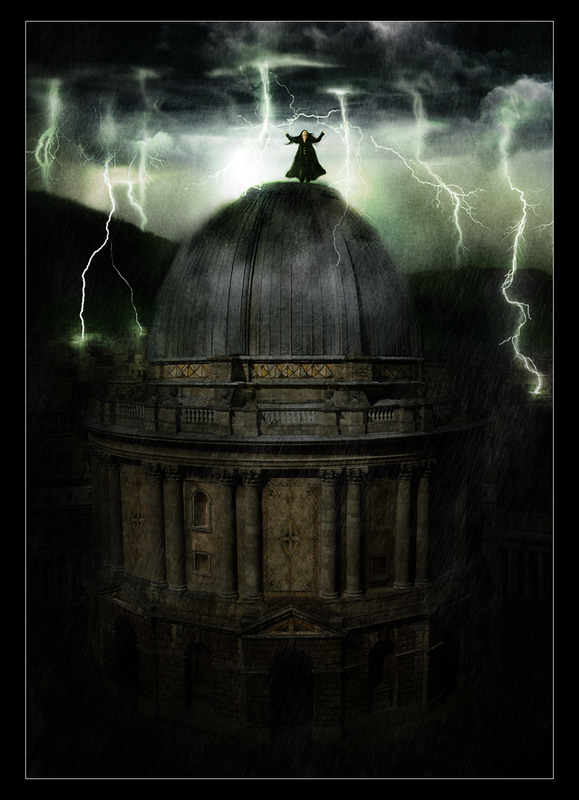 Sauron constructs a Temple of Melkor. 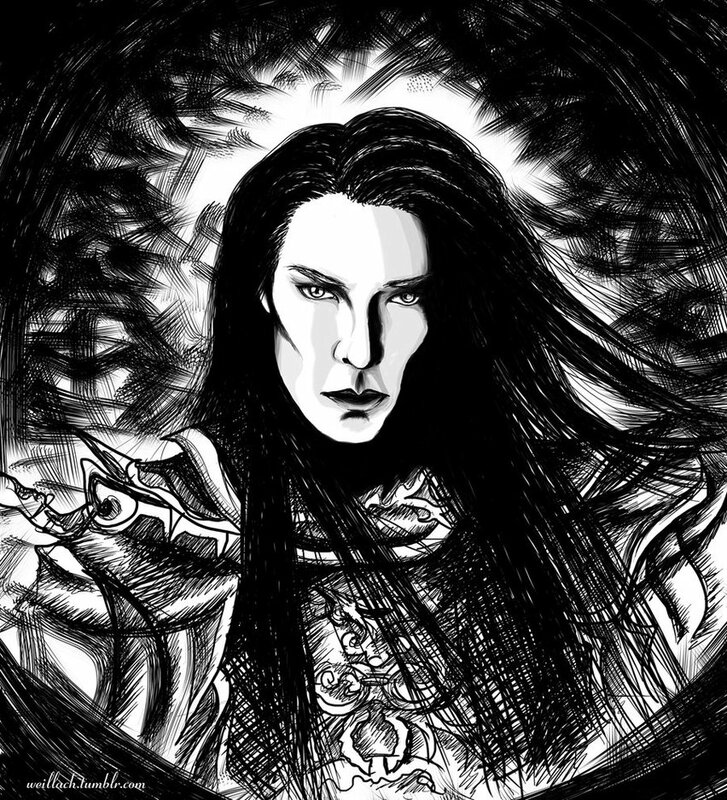 Men come into the temple and make sacrifices, animal and human, to Melkor. The King’s Men arrest many of the Faithful on the charge of treason, sacrificing them in the temple. Insanity and sickness spreads through the land. Sauron turns man against man and many a murder is committed. Sauron sends out fleets against Middle-Earth. The soldiers sack cities and enslave the people. Ar-Pharazon confides in Sauron that he feels his own death approach. Sauron responds that the Valar control the land where there is no death. Ar-Pharazon begins making preparations for war against the Valar. Amandil sees the weapons and ships being prepared and guesses the King’s mind. He tells Elendil to prepare all their people for evacuation and prepares to sail into the west himself, asking for mercy from the Valar. Amandil says farewell to his entire household and sails away. 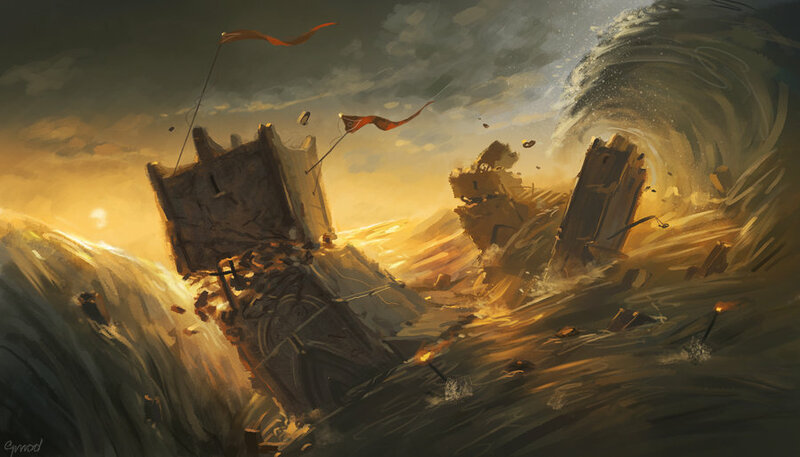 Amandil comes to the Shadowy Seas, where fierce storms await him. 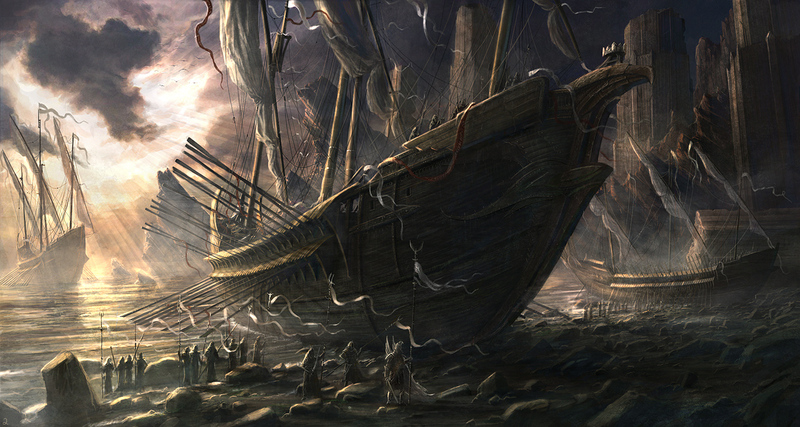 Elendil prepares nine ships to sail to Middle-Earth. The people and possessions of Romenna are put upon them, including the young White Tree and the Palantiri. Giant thunderstorms and earthquakes strike the island. Ar-Pharazon claims it is the Valar striking first. 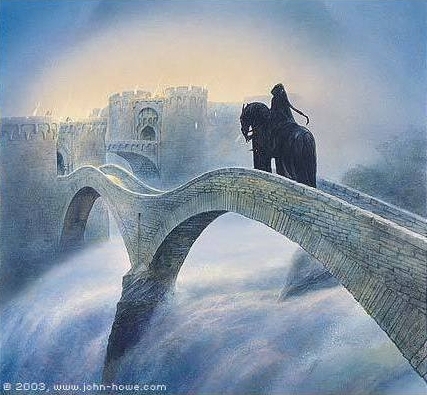 Elendil and his sons await a sign from the west, but none comes. 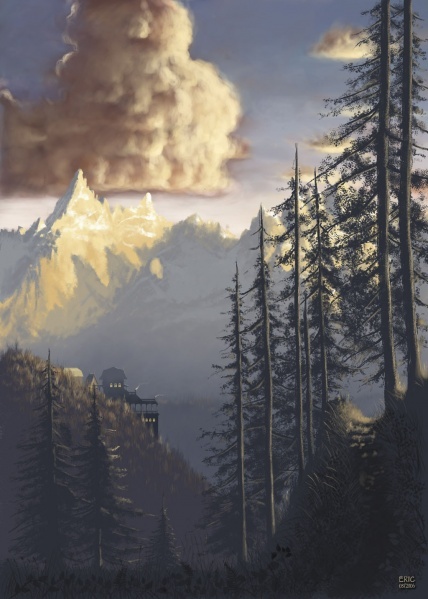 Giant clouds shaped like Eagles spread over Numenor. Elendil recognises the weather as not of the Valar, but of Eru himself. Ar-Pharazon and Sauron board their ship and sound the trumpets. The fleet sets sail into the west. Slaves row against the wind. The fleet surrounds Tol Eressea. Elendil and his followers find the morning calm. Ar-Pharazon reaches the shores of Aman and sees the peak of Taniquetil. 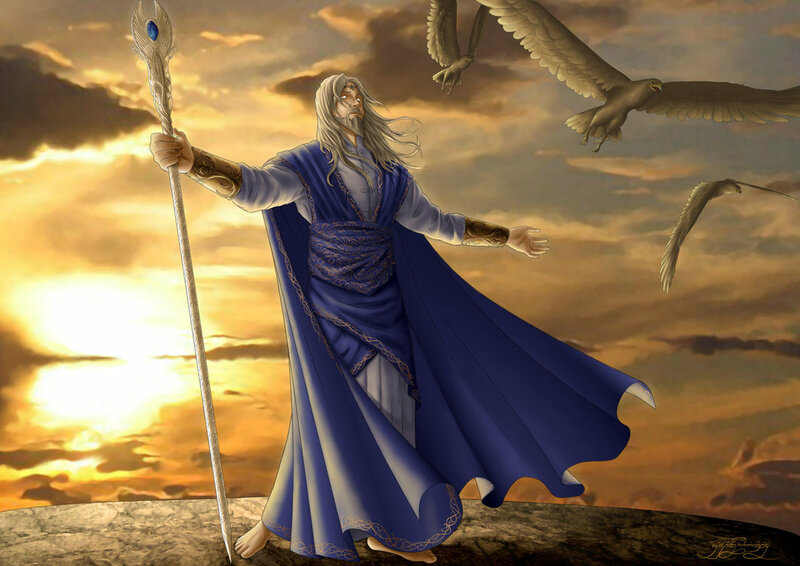 Manwe ascends to the very peak of Taniquetil and calls upon Eru. Ar-Pharazon becomes afraid and wishes to retreat. Sauron reinforces their mission. 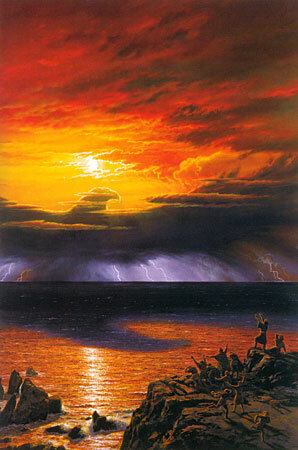 Ar-Pharazon steps onto the shores of Valinor and his army follows. The Numenoreans find Tirion empty. Ar-Pharazon claims the land for himself if no other will challenge him. The world shakes and a great rift opens to the west of Numenor. The destruction is felt as far away as Lindon, Eregion and Lothlorien. The Numenorean fleet is drawn into the great rift. The hills and mountains around Tirion come down upon the armies of Ar-Pharazon. 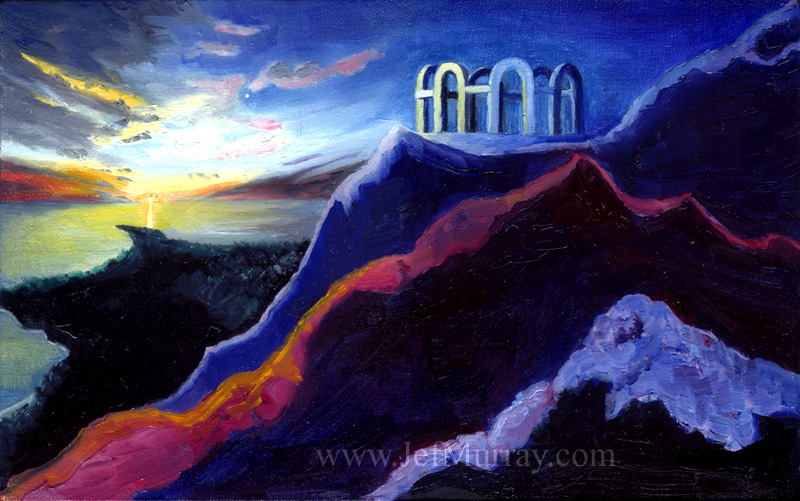 The lights of Valinor disappear from the sight of Numenor. Fire erupts from Meneltarma. Earthquakes rock the island and the hills collapse. 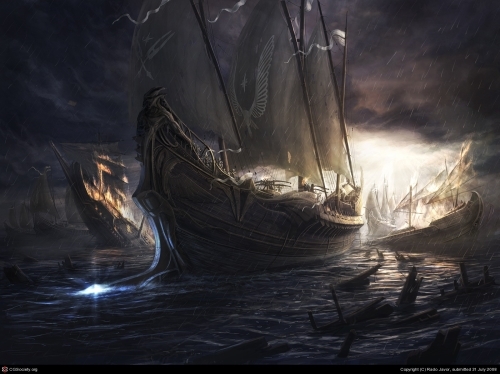 Elendil orders the nine ships to set sail. Tidal waves crash over the island. Numenor itself, with all it’s children, sinks into the sea. The Faithful look upon the destruction from their ships. Sauron emerges from the water in spirit form and begins to make his way back to Middle-Earth.